Ship today, get paid tomorrow. ProducePay provides financial solutions custom made for the fresh-produce industry. There is a growing problem with growing food in the United States where older, mostly white male American farmers seem to be headed to the endangered species list, and there is not much hope of replenishing the farmer pool with younger genes. Farmland in the United States has decreased by 1 million acres since 2014 – a loss of 18,000 farms. There will also be 20,000 fewer university graduates in the fields of agriculture and the environment than will be needed in just the next five years. Whether it’s increasing agricultural yields, changing farming practices or making it easier for farmers to stay farming through providing immediate cash flow solutions, something will need to change to feed the projected global population of 9 billion people by 2050. Farming defines “risky business.” Do a farming SWOT analysis (Strengths, Weaknesses, Opportunities, Threats) and you are left wondering how there are people left willing to farm at all. Grain farmers can secure finance for their operations because their crops can be stored, but produce farmers, i.e. fruit and vegetable growers, don’t have that luxury. Since their products are perishable, they are particularly at risk as they are often left waiting for produce to sell before they’re paid, leaving them in an uncertain and often precarious financial position for many months post-harvest. Enter ProducePay – an online platform that not only connects farmers directly with distributors and suppliers but also pays them up to 50% of the shipment’s value the day the shipment is accepted by their distribution partner on ProducePay Online. The arrangement offers farmers an upfront income to invest in their operations. By using their produce as collateral farmers can avoid having to put up their farms in order to get financing – a phenomenon that forced many farmers into bankruptcy in the 80s, and hastened the advent of industrial farming. ProducePay raised $2.5 million in a seed round in July 2016 and has just raised $77 million in equity and debt, consisting of a $7 million equity investment led by CoVenture. CoVenture committed roughly $5 million of the $7 million equity round, and which also arranged the $70 million debt facility for the company. Previous investors Menlo Ventures, Arena Ventures, Red Bear Angels and Social Leverage also participated in the funding. “It’s almost like a [software-as-a-service] company with a finance arm attached to it,” said CoVenture partner and ProducePay board member Ali Hamed in an industry publication. He also stressed that the importance of access to capital as a tool for social mobility can’t be overstated. By providing additional lines of financing to farmers — without the risk of losing their livelihoods — ProducePay can let farms make significant improvements, he said. Pablo Borquez Schwarzbeck was born and raised in a 4th generation farming family from Mexico. After growing up on the family farm, Campos Borquez, a premiere supplier of fresh asparagus and grapes to the United States and Canada, he chose to go business school at Cornell University. It was during his time completing his MBA at Cornell that ProducePay was founded and launched. Now based in Los Angeles, Schwarzbeck says he’s giving back to the farming communities that were there for him when he was growing up. There are financial instruments for many different types of farming, but perishables such as fruits and vegetables aren’t considered good prospects for finance, which is where ProducePay comes in. “What many people don’t realize is that one of the biggest impediments to agricultural supply growth is the proper allocation of funds to the folks who otherwise don’t have the means to either begin farming or increase their current production,” said Schwarzbeck. 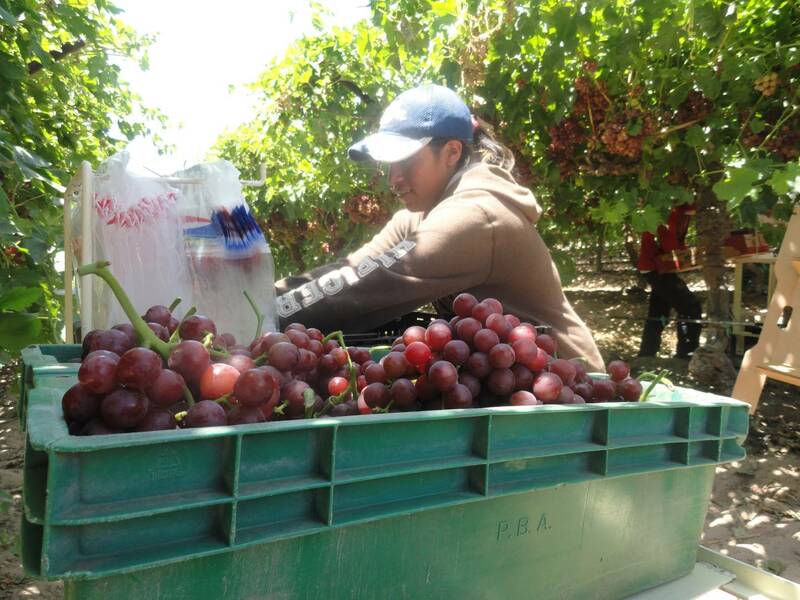 “Fresh produce cultivation and harvest practices are very labor intensive, which translates to huge upfront capital needs. Many folks who have the natural resources and disposition to go into farming or invest in infrastructure improvements for higher yields, cannot go ahead with their projects due to lack of capital,” Schwarzbeck concluded. Next Day Advance – growers are paid up to 50% of a shipment’s value the day the shipment is accepted by their distribution partner on ProducePay Online. Pre-Season Advance – allows qualified and returning farmers to access cash flow before harvest. 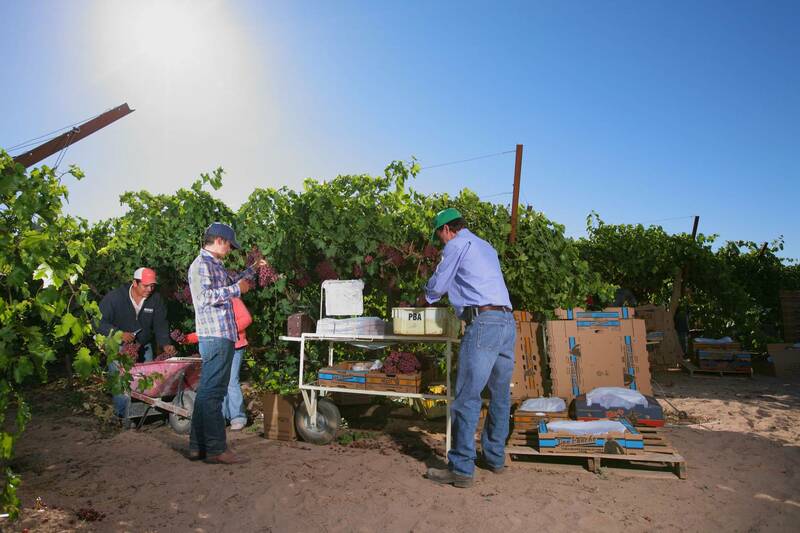 Partner Match – distributors, located in key buying markets across the U.S., are pre-screened and qualified based on a 10-point assessment process then matched with farmers meeting their needs. 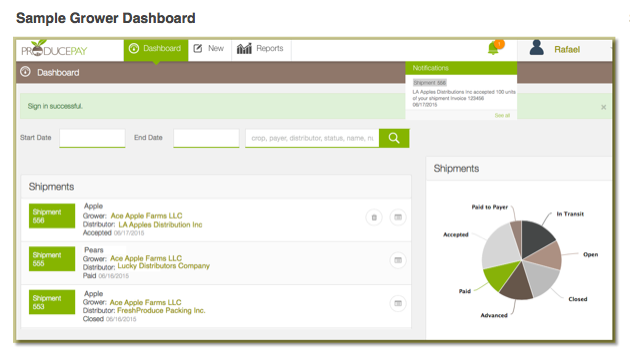 Farmers have real-time visibility of shipment status and sales prices on a “Shipment Dashboard” that includes quality metrics as well as active distributors, while dynamic grower reports and analytics keep track of sales and constantly compare results. Email notifications of critical activity (shipment status changes, new payment advances, and final payment) are also available. By giving farmers income upfront that can be used in infrastructure to improve crop yields, ProducePay finance helps to make small farmers competitive with bigger “factory” type farms. Nice application. Helping the little guy is something we should all keep in mind. Well, this is a solution that is for sure. How it will work with EVERY farmer would be left up in the air right now. I have no doubt it will help some of them and it is nice they have a plan where the farmer can get paid right away!